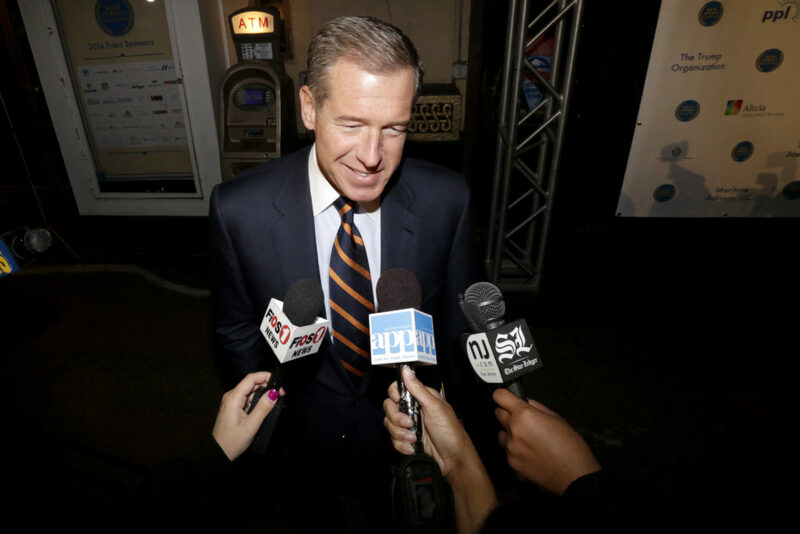 NBC News announced Tuesday night that the network would suspend Brian Williams for six months without pay after the “Nightly News” anchor admitted that his story about flying on a helicopter that took fire during the 2003 Iraq invasion was false. NBC News President Deborah Turess announced the decision in a memo to staff obtained by Politico. “We let Brian know of our decision earlier today. Lester Holt will continue to substitute anchor the NBC Nightly News,” Turess wrote in the memo. We have decided today to suspend Brian Williams as Managing Editor and Anchor of NBC Nightly News for six months. The suspension will be without pay and is effective immediately. We let Brian know of our decision earlier today. Lester Holt will continue to substitute Anchor the NBC Nightly News. Our review, which is being led by Richard Esposito working closely with NBCUniversal General Counsel Kim Harris, is ongoing, but I think it is important to take you through our thought process in coming to this decision. While on Nightly News on Friday, January 30, 2015, Brian misrepresented events which occurred while he was covering the Iraq War in 2003. It then became clear that on other occasions Brian had done the same while telling that story in other venues. This was wrong and completely inappropriate for someone in Brian’s position. In addition, we have concerns about comments that occurred outside NBC News while Brian was talking about his experiences in the field. As Managing Editor and Anchor of Nightly News, Brian has a responsibility to be truthful and to uphold the high standards of the news division at all times. Steve Burke, Pat Fili and I came to this decision together. We felt it would have been wrong to disregard the good work Brian has done and the special relationship he has forged with our viewers over 22 years. Millions of Americans have turned to him every day, and he has been an important and well-respected part of our organization. As I’m sure you understand, this was a very hard decision. Certainly there will be those who disagree. But we believe this suspension is the appropriate and proportionate action. This has been a difficult time. But NBC News is bigger than this moment. You work so hard and dedicate yourselves each and every day to the important work of bringing trusted, credible news to our audience. Because of you, your loyalty, your dedication, NBC News is an organization we can – and should – all be proud of. We will get through this together. Steve Burke asked me to share the following message.